The conversion of models is progressing for GTA SA (I say progressing, they are done, pending final carcol, vehicle.ide and handing.dat values). We currently need to adjust the placement of various visual effects to suit the new models. A question for the community, would you like to wait for the visual effects to be updated, or would you like the models now? With an update to correct the effects placement following at a later date? The interview with the mod team was recorded yesterday. I am currently in the process of editing this, after which we will make it available for download. This proved to be quite fun to do and was for many of us the first time we have actually spoken to each other, so that was interesting. Sadly, Mini-Me, Backintime, Bluespace88, and Archer were unable to make the call, however if time permits we will try to record their responses and edit them into the interview. Expect it out within the next 3-4 weeks. 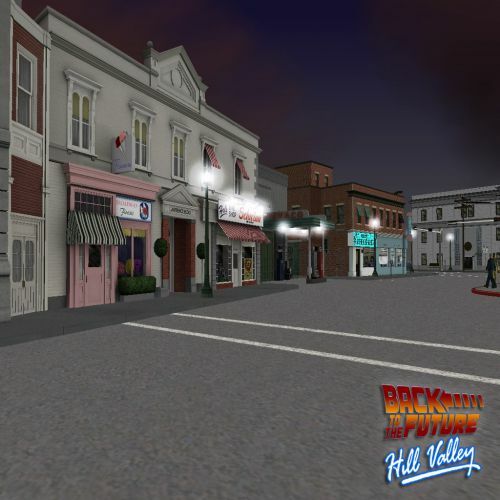 Not a bug, your PC lacks the requirements to play version 0.2f of BTTF HV. It sounds like you don't have the mod installed correctly. You know there is a reason we ditched those models and started from scratch right? They were junk. The lybians ak-47 also uses that particle. I agree Carlos, and in all likelihood there is no permission for the conversions, so we couldn't use them anyway. Regardless, I won't consider anyone else's Delorean models. Yours look awesome. Plus is flash checks the image gallery he will see it's already in GTA IV and looks superb. It seems to be a random glitch. I get it sometimes. If I drive to HV and then TT to 18:59 and wait around for a minute, when the night models load for the first time at 19:00 they load OK.
What language are you using in the game? And what does the included readme say you need to do? Feel free to post it back up. You weren't claiming it as your own. Simply offering a fix. Plus the code is effectively open source now. That's why we included the source code so folks can tweak and edit the mod to suit their needs. Of course if they release our code for a different mod then of course they should at least credit the original creators. Why do the hover lights on the BTTF 2 Delorean and the JVT only appear once and for only about 3 seconds. That was something delorean88us decided to code in. We can see about removing it, personally I kinda liked having the boost show whenever you use it. 0.2F time circuits in 0.2E R2? The proper mall is coming, check the blog.